Rajputana is the old name of the modern Indian state of Rajasthan. It borders Pakistan in the north-west, and the Indian states of Gujarat, Madhya Pradesh, Uttar Pradesh and Haryana to the south, south-east, east, and north, respectively. It is the land of the Kshatriya-warrior Rajputs (other communities being the Meenas, Gujars, Brahmins, Jats, Yadavs, Bhils, Bishnois, Ahirs, and more). The Rajputs derive their name from their state. Rajputana literally means the land of the princes ('raj' is 'king', while 'put' means 'son'). The present day capital of Rajasthan is Jaipur. The Rajput kingdoms that emerged following the break-up of the Thaneshwar empire in the sixth century included Ajmer (one of the most important early Rajput states), Alwar, Banswara, Bharatpur, Bikaner, Bundi, Dholpur, Jaipur, Jaisalmer, Jhalawar, Karauli, Kishangad, Kotah, Marwar, Mewar (Udaipur - the senior Rajput kingdom), Pratapgarh, Tonk, Taranga, and more. During the nineteenth century and the first half of the twentieth, Rajputana acted as an agency under the British Raj. It was formed of a group of kingdoms which owed allegiance to the British crown, but were autonomous enough to run their own administration. The language spoken is a dialect of Hindi. Some historians believe that the Rajputs were remnants of the Sakas (Indo-Scythians) who arrived in India from Central Asia in the second century BC. The earliest ruling dynasties in this region were the Pratiharas of Kannauj and their successors, the Gahadavalas (along with the Meenas, Gurjars, Bhils, Jats, and so on). The Islamic invasions in these regions began in the sixth century and Rajasthan witnessed several attacks by Arabs, Turks, Afghans and later on the Moghuls from Transoxiana (in the sixteenth century). The reign of Moghul Emperor Akbar witnessed several inter-religious matrimonial alliances between the Rajputs and the Moghuls. The Rajputs remained vassals of the Moghuls for centuries, serving in their armies in various positions. Later the Moghuls made way for the Marathas for a small period, before their submission to the British. Eventually Rajputana was converted into the state of Rajasthan after India gained independence in 1947. 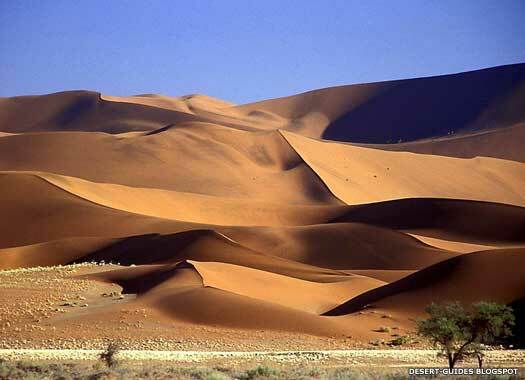 Today the total area of Rajasthan is 342,269 square kilometres and comprises desert (Thar) and fertile land. Rajputana bears signs of settlement from the very earliest stages of human existence in India. The phases of settlement can be broadly categorised, with the aboriginal tribes such as the Bhils, the Meenas, and others being the first to arrive. In the second millennium BC, Indo-European tribes migrate from Central Asia into India, where they become known to later historians as the Aryans (although the entire Aryan migration period is a matter of hot contestation within modern India). In the late fourth century BC, the Malavas and then the Yaudehas rule the area, followed by the Mauryans, who control the region as part of India's first true empire. Subsequently, Rajputana is subject to invasions by several waves of Central Asian horsemen, including the Kidarites, Sakas, and Kushans. The Guptas take over the former Mauryan empire, which still includes Rajputana. They are followed by the emergence of local kingdoms which include the Gurjara Pratiharas, and then the medieval Rajput clans: the Guhilots, Parmaras, Solankis, Chauhans, Hadas, the Sisodiyas of Mewar, Bhatis, Kachwaha, Shekhawats, and the Rathores. Harishchandra is the founder of the Pratihara dynasty, and establishes the kingdom of Kannauj, a Rajput kingdom but not located within Rajputana. This is the earliest of the Rajput kingdoms, even though it is in Gujarat. During his reign, Harshavardhana of Thaneshwar shifts his capital to Kannauj, showing that it is his empire which dominates this region during his lifetime. His death in 647 changes everything. He is without an heir and his former minister seizes the throne, causing the empire to break up into a patchwork of fighting states and petty kingdoms that does not reform into one kingdom. The emergence of the Rajput kingdoms begins. Mewar was one of the Rajput kingdoms which existed in India in the north-west of the modern state. Its capital was the fort of Chittor in Mewar. The Rajputs were Hindu warrior clans belonging to the land of Rajasthan, and the word 'rajput' itself literally means 'the son of the king', with the people being known for their valour. The rulers of Mewar came originally from the Guhilot clan, although they were replaced by the related Sisodiya clan in the fourteenth century. The state was located in what is now south-central Rajasthan state. Ruler of Malwa. Seventh in line. After being conquered by the rulers of Malwa and being ruled directly from there, Maan Mori is the seventh in that line of conquerors. Around 734 he is killed. Bappa Rawal of the Guhilots is able to take over. The creators of Mewar's ruling dynasty in Rajputana came originally from the Guhilot clan. Foundation stories claim this clan originated in Kashmir and migrated to Gujarat in the sixth century. In the seventh century they migrated again, to the plains of Mewar, in the area around Magda, which was named after one of the earliest clan leaders. Bappa Rawal, the later founder of a dynasty of rulers of Mewar, was born as Kalbhoj. After a promising beginning as a good warrior for, and possible relative of, an obscure local chieftain called Maan Mori in Malwa and Mewar, Bappa Rawal usurped his patron's territory and established himself as its new ruler (although some sources insist he was the son of Maan Mori and simply ruled after his assassination). All subsequent rulers of the territory traced their lineage to Bappa Rawal. Queen who fled Vallabhi when it was invaded by raiders. Son. Became clan chief aged 11. Founded the Guhilot clan. Son. Rebel Bhils killed him and wrested back their territories. Moved capital to Nagdhara and renamed it Nagda. Arab raiders attacked Chitor, ruled by Paramaras during his time. Son. Guhilot dynasty founder and creator of the state. Born as Kalbhoj, Bappa Rawal is the founder of a dynasty which later comes to rule Mewar. He takes Chittor from the Maan Mori dynasty and wards off Muslim attacks on his territory. Son. Warded off several attacks on his kingdom. Repelled up to 24 Muslim attacks. Ruled a Golden Age in Mewar. Deoraj establishes the royal family of Jaisalmer and makes Lodorva his capital. The death of Allat leaves a gap in the succession, and there is no Guhilot leader at all for a total of eight years while the Paramaras attack Ahar. It takes until 971 for a new Guhilot king to reign. The Paramara king, Vakpati Raj of Malwa, rules Chittor. Raja Dulha Rao is generally given as the founder of the Rajput kingdom of Amer, while his son's successor, Hunadev, is the one to hammer home the final nail in the Meena coffin. Chittor is captured by Malwa. The royal family divides, possibly near the end of Karan Singh's reign. His son Rahap establishes the Sisodia branch of the family while another son, Mahap, establishes the Dungarpur kingdom. Possibly relocated capital to Nagda at start of his reign. Mathan Singh fights in the Battles of Tarain, in which the Chauhan ruler, Prithviraj III, and the Rajput confederation which includes Mewar (the Hindu League) are defeated by the Ghurid Sultan Mohammed Ghuri. The Hindu Rajputs of Amer and the Gahadavalas who had governed much of the region around Delhi now lose that territory and the city itself when they are defeated by a slave of the Ghurid sultan. The sultanate of Delhi is subsequently founded. Chittor is taken and ruled by the Western Chalukyas just as they are facing their own terminal decline. During his reign, Jait Singh defeats the Malwa Rajputs who rule Chittor, reinstating its fort as the capital of Mewar. This probably occurs shortly after Sultan Iltutmish of Delhi has destroyed Nadga. 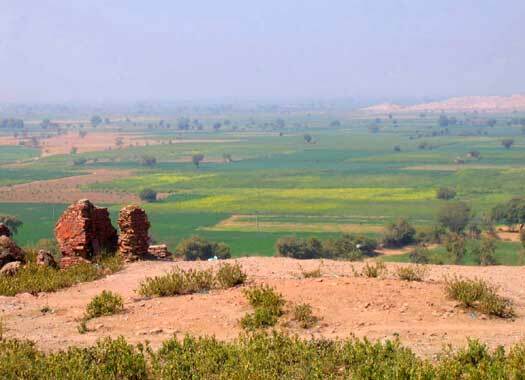 Rao Siyaji, grandson of King Jai Chandra of the Gahadavalas, founds the kingdom of Marwar. Sultan Iltutmish of Delhi is defeated by Mewar when he invades the region. There is a second apparent interregnum. No known ruler of Mewar exists during this period, and the fate of Tej Singh is unknown, as are the circumstances behind the gap are unknown. It takes six years for Tej Singh's son to ascend the throne. The army of the sultan of Delhi, Muhammad Shah I, invades north-western India under the command of Malik Kafur, conquering the Rajput states, including Mewar. With the capital and main fort at Chittor about to fall, the women inside commit mass suicide rather than fall into the hands of the invaders, while the men make a heroic charge in the face of insurmountable odds. The few survivors of the fall of Chittor take refuge in the hills. Administration of the captured state is handed to the ruler of the neighbouring state of Jalore, Maldeo. Once Mewar had been conquered by the sultan of Delhi, a vassal ruler was placed on the throne, governing Mewar as well as his own domains in Jalore. In order to establish some cooperation from the locals, he married his widowed daughter, Songari, to a member of a minor branch of the former ruling dynasty, a young man named Hamir. In 1326, Hamir organised a coup against his father-in-law and re-established an independent Mewar. Hamir could trace his descent from Bappa Rawal (AD 731), although his 'new' dynasty was named after the mountain village of his birth, Sisoda. There were a number of small Rajputana kingdoms at this time, including Amer, Bikaner, Bundi, Jaisalmer, Jodhpur, Malwa, and Marwar, and all were eventually conquered by the Moghuls. Vassal of Delhi and ruler of Jalore. Grandson of Ratan Singh. Founded the Sisodiya dynasty. Rao Deva founds the Rajput kingdom of Bundi. Son. Continued work retaking Mewar provinces from Tughlaqs. Kshetra Singh is assassinated by the Hara chief of Banbaoda in a dispute about a daughter he is to marry. Laksha Singh falls out with his heir, Prince Choonda, over a princess of Marwar whom Laksha himself marries. Choonda renounces his right to throne. Later, Laksha appoints Choonda as regent for his young step-brother, Mokal, son of the princess whom Choonda spurned. Rao Chanda seizes control of Marwar and founds his own Rajput dynasty there. Son. Ascended throne aged 5. During his relatively short reign, Mokal's mother, Rajmata Hansabai, deposes Choonda as regent, and he retires to Mandu, the capital of Malwa. Rao Ranmal of Marwar and other of Hansabai's relatives move into Chittor as part of an attempted political takeover. Ultimately, in 1433, Mokal is killed by his father's step-brothers, Chacha and Mera. Rao Bika of the Rathore clan founds the city of Bikaner and his own Rajput kingdom. Son. Ascended throne as a minor. Kumbhkaran ascends throne after his father's murder. Rao Ranmal kills Mokal's assassins and, in a move to take over the throne, he murders Choonda's brother, Raghudeo. The dowager queen, Rajmata Hansabai, asks Choonda to return and he drives out invaders before forming the Choondawat clan at Salumbar. Khumba survives the crisis period to become a renowned warrior, builder, writer, and patron of the arts. A Charan predicts Kumbha's imminent death, so he banishes the Charan tribes from Mewar. Crown Prince Raimal supports the Charans so he is exiled to Idar. A decade later, Raimal's younger brother, Udai (Uda), assassinates Kumbha and usurps throne. Son. Usurper, nicknamed Hatyara, 'The Murderer'. Crown Prince Raimal comes out of exile, amasses an army, attacks Chittor, and claims the throne that is rightly his. Udai Singh flees to Delhi to get help from Sultan Bahlul Lodi but in a bizarre twist of fate he is struck and killed by lightening. Rudra Pratap founds the Orcha kingdom of Bundela rajas who are of Chhatri Suryanvanshi Rajput descent. Son. Severely wounded and defeated in battle. Ibrahim Lodhi, sultan of Delhi, faces a number of rebellions by nobles within the sultanate as well as pressure from outside, as Rana Sanga extends his own territory at Delhi's expense. From 1519, the ruler of Kabul, Babar, also leads a great many raids on Delhi. In 1526, he is invited by the nobility to invade (Rana Sanga being included amongst that nobility), and Ibrahim is killed at the Battle of Panipat. Babar creates a Moghul empire which sacks and then controls Delhi as the heart of that empire. Babur increases his territory by defeating Rana Sanga at the Battle of Khanua, despite having an army only half the size, and conquering Mewar. In 1528 it is the turn of Rana Sanga's vassal, Medina Rai of Malwa to be defeated. The new Moghul emperor, Humayun, faces an invasion of Rajputana when Bahadur Shah of Gujarat takes Malwa (1531) and Raisen (1532). However, the problem is quickly dealt with and Rajputana is restored to Moghul control. The Mirza princes who survive Akbar's defeat of an attempted coup of the Moghul throne flee first to the Rajputs (including Mewar), and then to Gujarat. The Moghul emperor, Akbar, takes on the might of the Rajputs. He sends his emissaries to various Rajput princes, asking them to accept his suzerainty but, knowing the Rajput reputation for valour, he uses subtle diplomacy to win them over, entering into marriage alliances with many of them. The ruler of Amer (Jaipur), Raja Bharmal, gives his daughter to Akbar and sets the precedent. Akbar inducted Raja Bharmal's son, Bhagwandas, and grandson, Man Singh, into his body of high ranking courtiers. The new ruler, Maharana Uday Singh refuses the offer, so Akbar attacks him and Chittor, which has remained the capital of the Sisodiyas until this year, is sacked. The Sisodiya capital is moved to Udaipur as half the kingdom is annexed. Uday Singh holds on tenaciously to the remaining half of his kingdom for the remainder of his life. Mewar's capital at the fort of Chittor was the scene of many sixteenth century battles. Son and chosen heir, but politely removed by the nobles. The legendary Pratap Singh also refuses to follow the bidding of the Moghul emperor, Akbar. In 1576, Akbar meets him at the famous Battle of Haldighati. In a struggle that is comparable in Indian warfare to the bravery of the Spartans at Thermopylae, the Rajputs fight valiantly but are outnumbered. Pratap Singh escapes to the adjoining jungles and continues his struggle from there, waging a guerrilla battle against Akbar until his death. Emperor Jahangir continues the Moghul campaigns against Mewar, encountering stiff resistance all the way. Many battles take place in this period, but one notable victory for the ranas is when Amar Singh wins back the fort of Chittor. In 1615 Amar Singh agrees to sign a peace treaty on the advice of courtiers and his son, Prince Karan Singh. He agrees to accept the suzerainty of the Moghuls in return for the restoration of Mewar's territories. Son. Rebuilt Chittor from the ruins. While a revolt against Moghul emperor Aurangzeb is already underway in Marwar, Raj Singh revolts against the jaziya tax. Aurangzeb is quick to retaliate, destroying perhaps 173 temples in Udaipur and 63 temples in Chittor. Raj Singh is defeated in battle in 1680, but for a time he joins the guerrilla war being waged by Marwar. Aurungzeb eventually agrees a treaty with his son, Jai Singh. Son. m daughter of Jaswantsingh of Jaisalmer. Son. Restored the independence of the kingdom. Raja Chatrasal founds the Bundela kingdom of Panna. The Bundelas are Chhatri Suryanvanshi Rajputs by origin. Regained the kingdom's lost territories. Udajirao Pawar assists Maratha Peshwa Baji Rao I in his Malwa campaign. In reward for his services, Udaji Pwar is given Dhar as his jagir (estate). His ancestors had been Gurjars who assumed the status of Chandravanshi Rajput Kshatriyas (claiming descent from Raja Vikramaditya of Malwa). Udajirao of Dhar falls out with the Peshwa and his jagir rights are transferred to his two brothers, Tukaji Pawar and Jivaji Pawar, who establish themselves as rulers in Dewas. Udajirao is sent off to Multan, where he dies. Jagat Singh II begins his reign with a revival of the triple alliance between Mewar, Marwar, and Amer, which had first been agreed during the reign of Amar Singh II but which had failed at the time. This renewed union of states is formed at Hoorlah, a town within Amer. Unfortunately, it again fails, due to individual ambition, and the increasingly powerful Maratha empire is able to conquer the entire Rajasthan region. Jagat Singh II places his eldest son, Ishwari Singh, on the throne of Amer. Politics being played by Jagat Singh's queen mean that Ishwari Singh commits suicide in 1750. Jagat Singh's misrule in his own kingdom sends it into a decline following his death, with the throne being occupied by incompetent successors. Son. Continually fighting off Maratha invasions. On the death of Raj Singh, his uncle makes sure the order of succession is amended to allow him to claim the throne. Uncle. Assassinated, apparently by Rao Raja Ajit Singh of Bundi. Pratap Singh Prabhakar Bahadur is granted the panch hazari mansab by Moghul Emperor Shah Alam, and founds the Rajput kingdom of Alwar as a result. The Third Maratha War results in a decisive victory for the British against the Peshwa in India. The last Peshwa, Baji Rao II, is defeated, and the Maratha empire is largely annexed, bound by treaty to the British Crown. It is at this time (in 1818) that Bhim Singh also officially accepts the superiority of British power in the country. Adopted son. Powers curbed by British in India. Titular ruler only. India achieves independence from Britain and begins the process of taking control of the princely states. Mewar is one of the first of the princely states to merge with the new dominion. 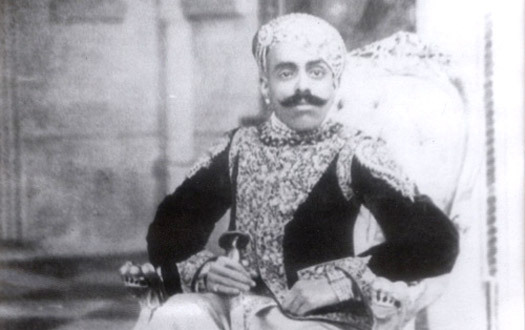 Later in 1949, twenty-two princely states of Rajasthan merge to form the Union of Greater Rajasthan, acknowledging the maharana of Udaipur in Mewar as their head. The states which cease to exist include Alwar, Amer, Bikaner, Bundi, Dewas, Dhar, Jaisalmer, Jodhpur, and Malwa. Adopted son from the Shivrati branch of the family. In 1970 the Indian Parliament decides to abolish the institution of royalty, and the following year the rulers of the former princely states are de-recognised and their privy purses and titles snatched away from them. Bhagwat Singh creates charitable trusts to ensure the survival of his property. Bhagwat's elder son, Mahendra Singh, files a civil suit seeking a share in the family inheritance. Instead he is cut off by his father and disinherited. The following year, Bhagwat proclaims his second son, Arvind Singh, as his successor. Arvind Singh, the seventy-sixth ruling member of the Sisodiya dynasty, assumes the title of maharana the same year, administering the House of Mewar along with his wife, Princess Vijayraj, the granddaughter of the ruler of Kutch.